The future is now. Or at least soon, according to Domino's Pizza in Australia. The pizza chain has just announced plans for an automated pizza delivering machine called Domino's Robotic Unit, or DRU for short. The autonomous vehicle will keep pizzas in a warm chamber while on the move, and once it's creeped it's way onto their lawn, customers will access their pre-ordered pizza by punching in a code. And you thought Domino's pizzas were soulless before! Just kidding. DRU will also be programmed with a "friendly persona" as opposed to human delivery drivers who have slowly had their personalities deprogrammed by delivering pizzas to drunk people who answer the door wearing only underwear. So pretty soon, crotchety millennials will reminisce "Back in my day, pizzas were delivered by a pimply teen just barely off his learner's permit!" Ahh, the good ol’ days. 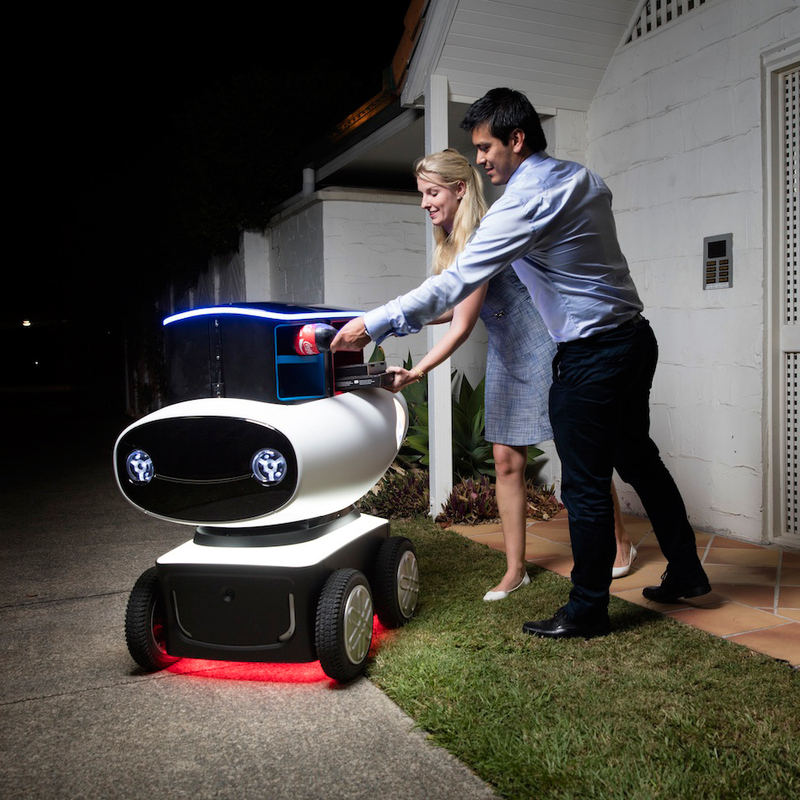 DRU is being developed by Australian start-up Marathon Robotics, a military contractor that makes moving targets, which is fitting since these unattended, pizza buggies will be the targets of pranksters, hungry ne'er-do-wells and stoners with crowbars everywhere. Check out the video below, while I wonder just how much I'm supposed tip a robot, anyway?